This park has been totally transformed over the last few years. 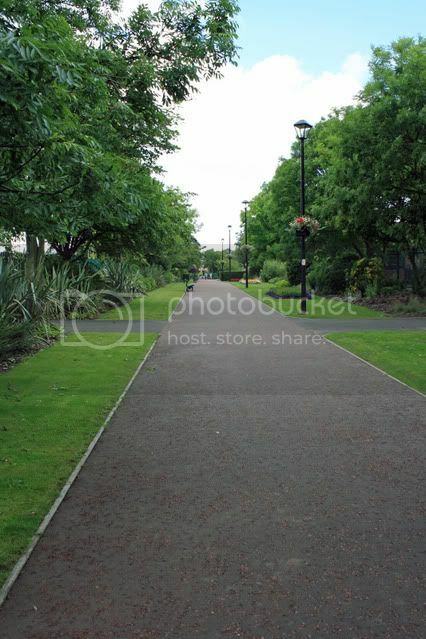 On this page and the following three pages, you will see how the park looks today. 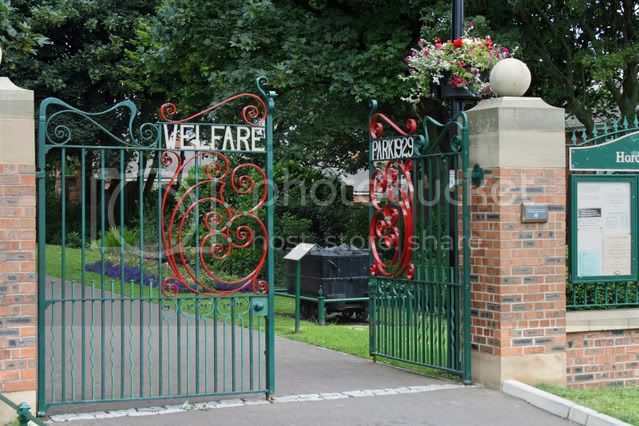 The new gates at the entrance near the former big club site. You can see the notice board which gives information on upcoming events, such as brass band concerts. 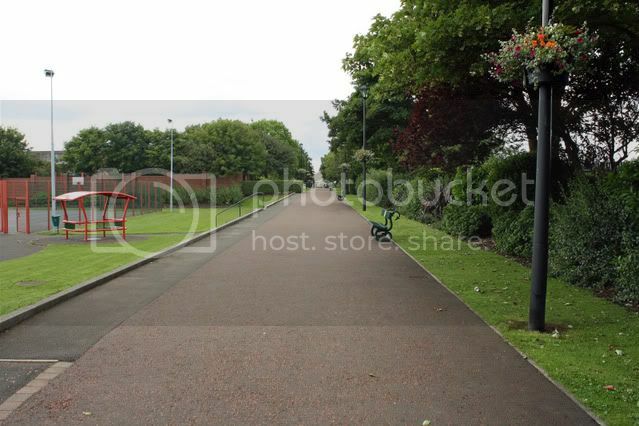 The above photo is on the notice board and gives you a map of the park and tells you the parks history. 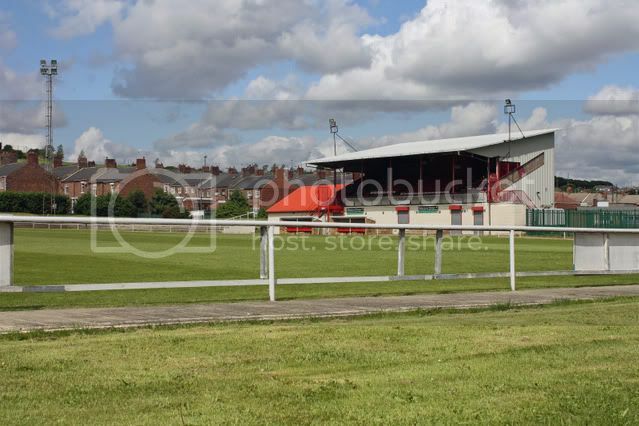 This is the home of Horden CW football team. 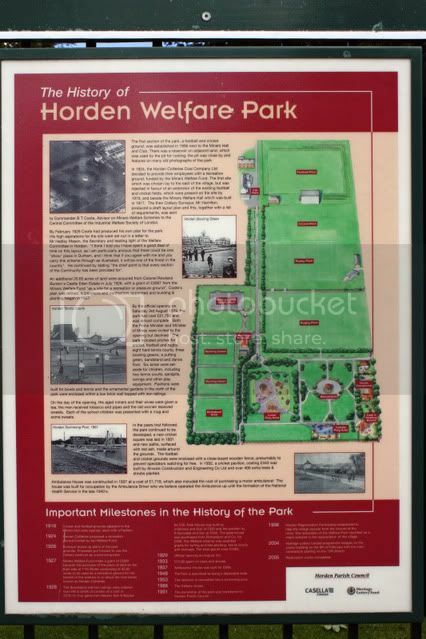 The park is also home to Horden's cricket and rugby teams. 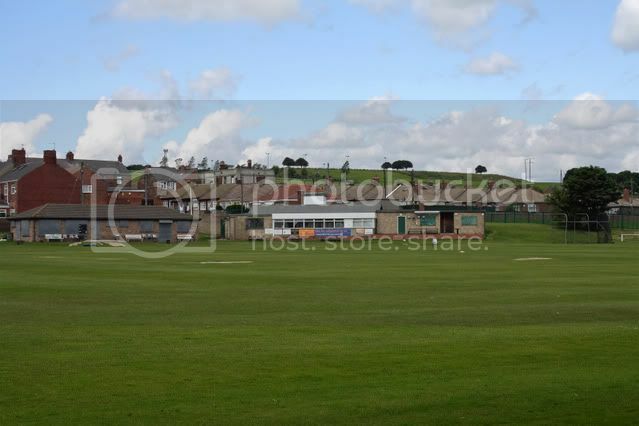 Horden cricket field with the cricket club in the background. 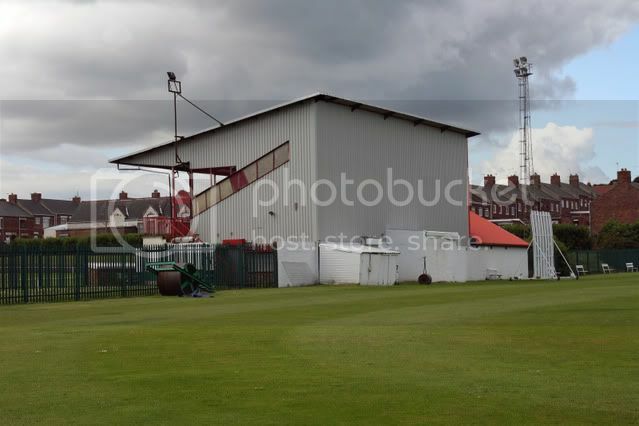 The football ground stand taken from the cricket field. A footpath through the park. The same footpath, picture taken from the other end of the pathway.